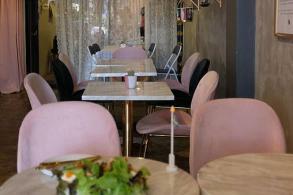 As air pollution becomes an aggravating problem in Bangkok, its impact on the skin calls for protection and detoxification as a daily beauty routine. 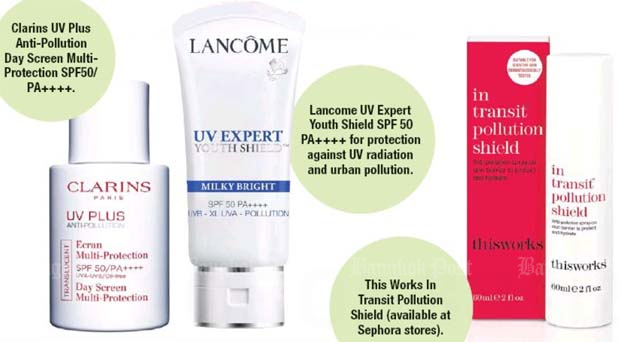 Clarins first raised awareness of how urban pollution can harm the skin constantly exposed to the environment. In 1991, the French firm introduced its Anti-Pollution Complex based on plant extracts, and since then has incorporated this ingredient in its daytime skincare and make-up products. The build-up of pollutants can result in acne as well as dull, congested and sensitised skin. Repeated exposure then makes the skin susceptible to premature ageing. British brand This Works developed its Evening Detox range to support skin recovery and resilience, from the damaging effects of pollution. Designed with a built-in brush, the green clay mask with malachite and kaolin provides a 10-minute skin detox at the end of the day. In the morning, spraying In Transit Pollution Shield containing 97% natural ingredients is recommended before leaving the house. The protective veil acts like a second skin while a polysaccharide captures heavy metals as well as carbon and other particles before entering the skin and clogging pores. 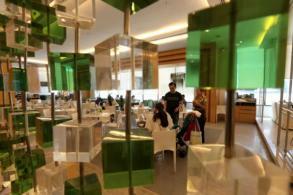 To combat Bangkok's smog, the skin also requires more oxygen. 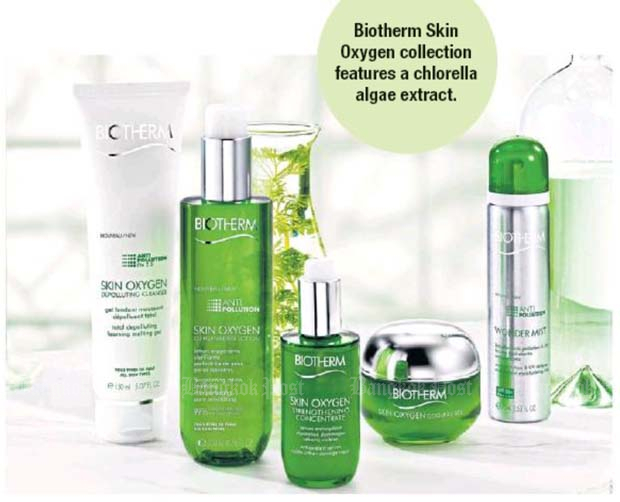 Biotherm Skin Oxygen anti-pollution collection detoxifies through a Chlorella algae extract, while the serum is further enriched with antioxidants to neutralise free radicals that are spurred by environmental aggressors. 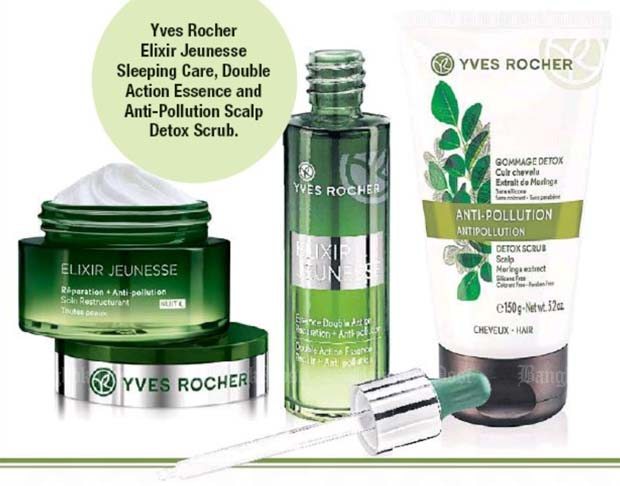 Yves Rocher offers Elixir Jeunesse as a reparative and anti-pollution range containing a highly-concentrated extract of Aphloia, sourced from an eco-friendly Madagascan supplier. The French beauty house was inspired by the plant's ability to completely renew its bark, and how a natural molecule in its leaves protects the Aphloia from oxidation and boosts resistance to external aggressions. As hair is also subject to pollution, Yves Rocher recently launched botanical Anti-Pollution Scalp Detox Scrub containing Moringa extract, as a pre-shampoo treatment used once to twice a week.